A tribute to my Dad for Father's Day. Dad holding me in his arms before going to war in Vietnam. By the time he came home, I didn't even know who he was because he was gone for such a long time. Growing up as the only boy in my family with six older sisters was a challenge from the moment I was born into this world. 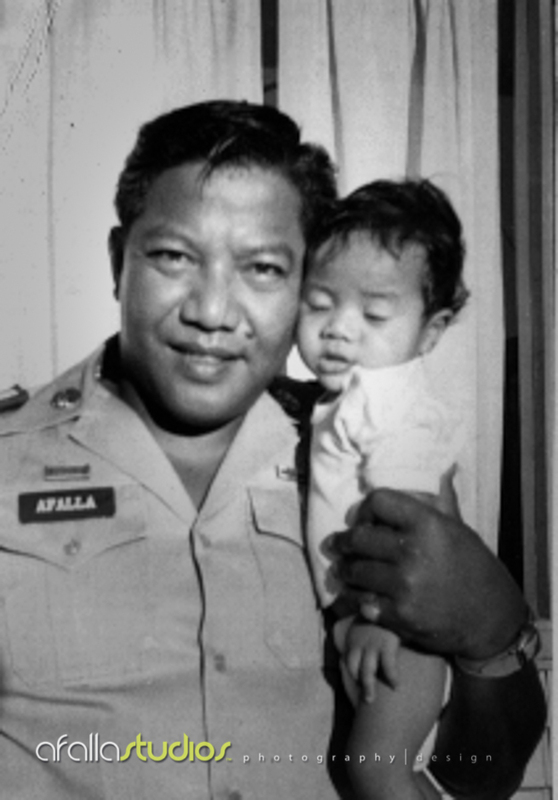 My Dad, Junior Terry Afalla, was born and raise in Hawaii. 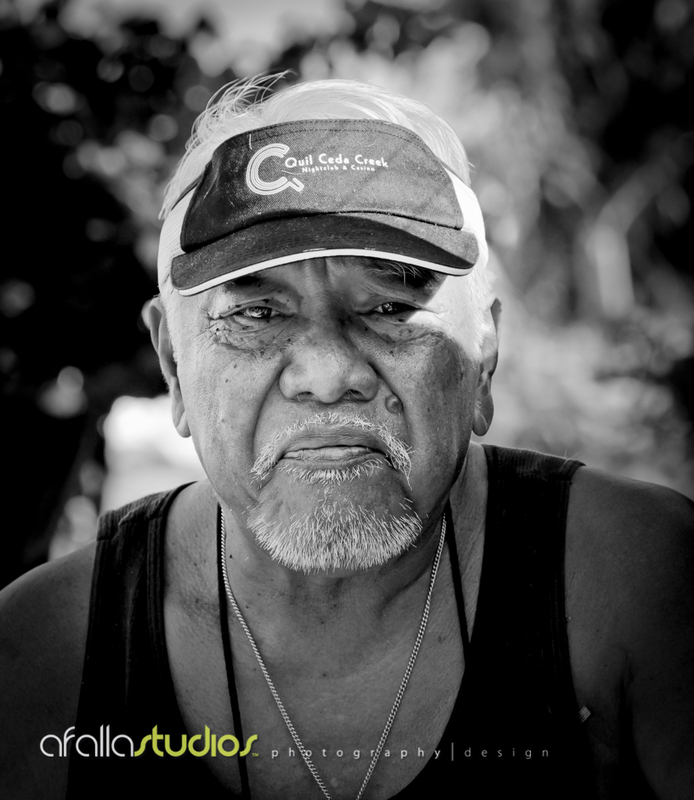 He had a rough life growing up, from living in various foster homes to serving our country in three tours of Vietnam. When Dad left for the war, I was only 3 or 4 months old. By the time he came back, I didn't know who this dude was. It took some time to get to know him and as I got older, I've grown to love him more and appreciate what he has done for his six beautiful children. Today, Dad is still living his life day by day with weekly trips to the VA hospital where he likes to hang out with his buddies. 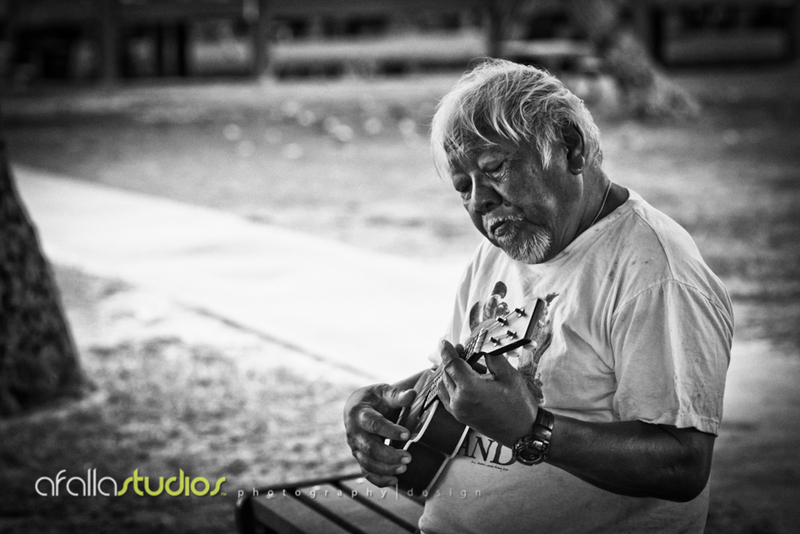 He brings his ukulele and sings with a group of them at the VA hospital. They play anything from the old songs of yesteryear to local Hawaiian songs. He also attends his arts and crafts class as well as work with therapist on his reading and physical therapy (recovering from his stroke). I think every day should be father's day because we often forget how much our fathers have done for us. I honor both my father and my Father in heaven. I thank Him each and every day for the blessings He has given me to live a comfortable, happy life. Happy Father's to all the Dads out there. Dad looking into the camera lens for me. This is my Dad. He likes to wear hats, shorts, tank-tops, and flip flops. That's the most comfortable clothes that he likes to wear. Dad playing the ukulele under the big tree. We often go to the Waianae military rest camp and rent a beach front hut. Dad likes to sit under this particular tree and play his ukulele while watching the ocean before him. Dad enjoying a meal with his family. This photo was taken about a year ago when Dad and Mom flew to Seattle to visit my sister, Teri. Today, he wears an oxygen tube because of his breathing. This photo was taken with my niece, Rachelle, and my second oldest sister, Teri. Please make your comments on my blog (see below) and also 'Like' this post. This will help my website in the Google search rankings. Also, follow us on Facebook and 'Like' us there as well. Thanks. ATTENTION! PLEASE DO NOT CROP OR ALTER ANY PHOTOS IN ANY WAY PER FEDERAL COPYRIGHT LAWS. Check out our new "Little Black Books"! A personal tribute to those who fought for my freedom.